Tags: EUROPE, European market, Euro (€) . 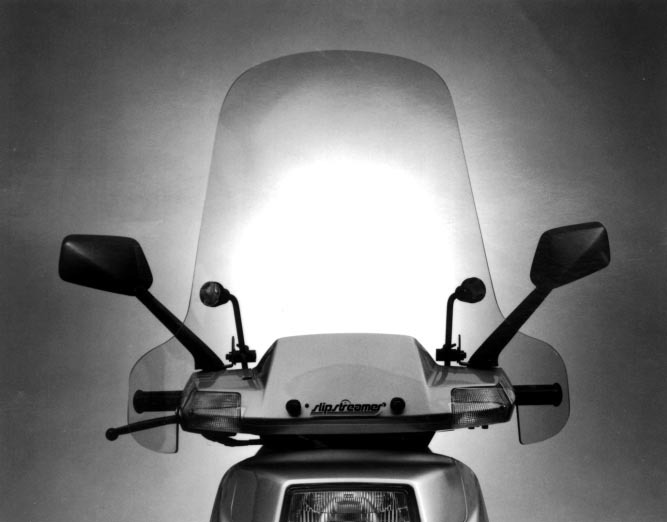 08r82kfg800, side, visor, reduce, wind-blast, and, buffeting, with, these, visors, engineered, for, a, precise, accurate, fit, to, this, popular, scooter. Tags: EUROPE, European market, Euro (€) . 22123krj900, roller, set, weight, don’t, lose, your, drive, re-fit, these, service, wear, items, as, soon, you, feel, things, starting, to, slip! Tags: EUROPE, European market, Euro (€) . 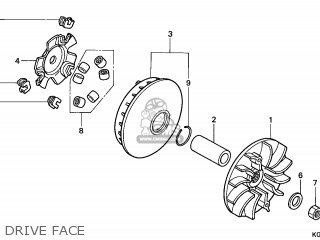 22123kgg911, roller, set, weight, don’t, lose, your, drive, re-fit, these, service, wear, items, as, soon, you, feel, things, starting, to, slip! Tags: EUROPE, European market, Euro (€) . 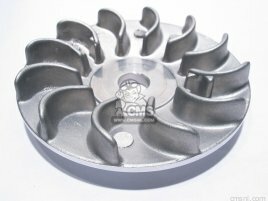 22123kgf912, roller, set, weight, don’t, lose, your, drive, re-fit, these, service, wear, items, as, soon, you, feel, things, starting, to, slip! 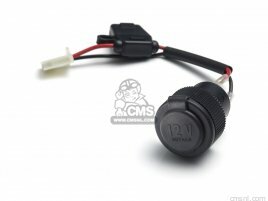 Description : .available at cmsnl.com - parts for a better ride. Tags: EUROPE, European market, Euro (€) . 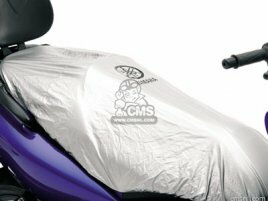 5gjw070200, saddle, cover, rain, protection, to, put, over, your, scooter’s, saddle., ∗, protects, against, the, elements., features, yamaha, logo. Tags: EUROPE, European market, Euro (€) . 026los0005, steering, lock, standar, for, the, best, protection, of, your, scooter., features, clean, storage, on, bracket, between, seat, and, footboard. 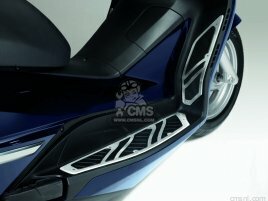 Description : .Two Brothers Racing Hurricane Storm Series Full System Exhaust - Universal Scooter GY-6 150cc - 3.75 round carbon fiber muffler. Storm Series badging. 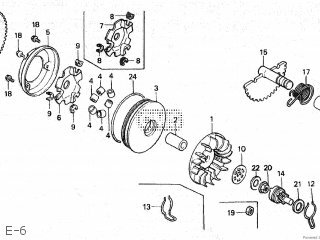 Spiral-wound perforated core. 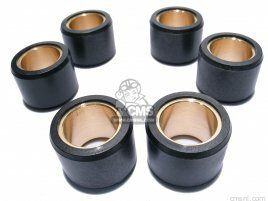 Rubber insulated, black Storm Series muffler clamp. Unparalleled sound and performance. Optional dB killer. 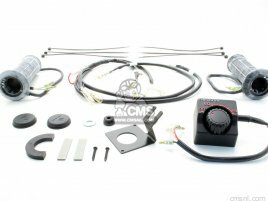 One-year manufacturers warranty. Handmade in USA.. Description : .FIVE RFX4 Gloves (Black/Red 2XL) - The RFX4 is made for riders looking for a sport look in a multipurpose glove. 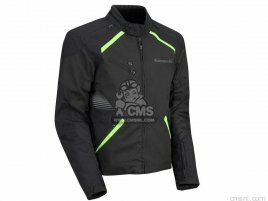 For any type of machine, from scooters to GT bikes, its soft construction in fullgrain goatskin and its PU protective shells (injected resin) inserted under the leather give it perfect comfort that is remarkably effective and protective. Full-grain goatskin construction (topside and palm) for suppleness. Visible PU metacarpal-knuckle protective shells. TPR palm slider hypothenar muscle protective shell. Palm reinforcement in Clarino. Forearm protection with leather panel. Closure system with a Velcro tab and elastic cuff.. 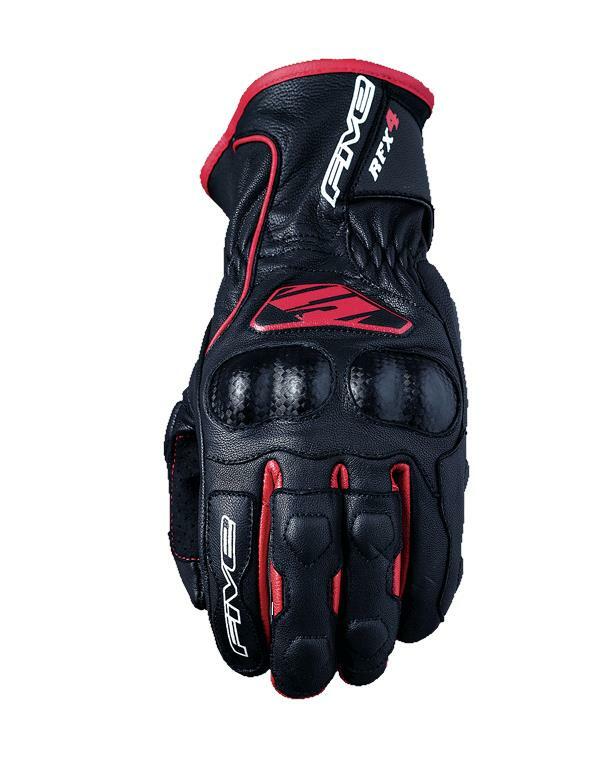 Description : .FIVE RFX4 Gloves (Black/Red XL) - The RFX4 is made for riders looking for a sport look in a multipurpose glove. 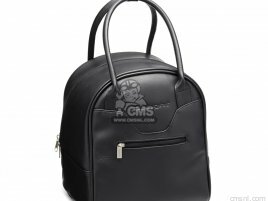 For any type of machine, from scooters to GT bikes, its soft construction in fullgrain goatskin and its PU protective shells (injected resin) inserted under the leather give it perfect comfort that is remarkably effective and protective. Full-grain goatskin construction (topside and palm) for suppleness. Visible PU metacarpal-knuckle protective shells. TPR palm slider hypothenar muscle protective shell. Palm reinforcement in Clarino. Forearm protection with leather panel. Closure system with a Velcro tab and elastic cuff.. Description : .FIVE RFX4 Gloves (Black/Red Lg) - The RFX4 is made for riders looking for a sport look in a multipurpose glove. 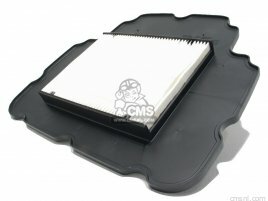 For any type of machine, from scooters to GT bikes, its soft construction in fullgrain goatskin and its PU protective shells (injected resin) inserted under the leather give it perfect comfort that is remarkably effective and protective. Full-grain goatskin construction (topside and palm) for suppleness. Visible PU metacarpal-knuckle protective shells. TPR palm slider hypothenar muscle protective shell. Palm reinforcement in Clarino. Forearm protection with leather panel. Closure system with a Velcro tab and elastic cuff.. Description : .FIVE RFX4 Gloves (Black/Red Md) - The RFX4 is made for riders looking for a sport look in a multipurpose glove. 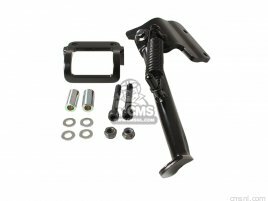 For any type of machine, from scooters to GT bikes, its soft construction in fullgrain goatskin and its PU protective shells (injected resin) inserted under the leather give it perfect comfort that is remarkably effective and protective. Full-grain goatskin construction (topside and palm) for suppleness. Visible PU metacarpal-knuckle protective shells. TPR palm slider hypothenar muscle protective shell. Palm reinforcement in Clarino. Forearm protection with leather panel. Closure system with a Velcro tab and elastic cuff.. Description : .FIVE RFX4 Gloves (Black/Red Sm) - The RFX4 is made for riders looking for a sport look in a multipurpose glove. 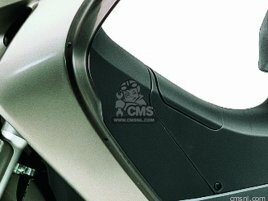 For any type of machine, from scooters to GT bikes, its soft construction in fullgrain goatskin and its PU protective shells (injected resin) inserted under the leather give it perfect comfort that is remarkably effective and protective. Full-grain goatskin construction (topside and palm) for suppleness. Visible PU metacarpal-knuckle protective shells. TPR palm slider hypothenar muscle protective shell. Palm reinforcement in Clarino. Forearm protection with leather panel. Closure system with a Velcro tab and elastic cuff.. Description : .FIVE RFX4 Gloves (Black 2XL) - The RFX4 is made for riders looking for a sport look in a multipurpose glove. 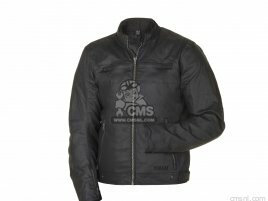 For any type of machine, from scooters to GT bikes, its soft construction in fullgrain goatskin and its PU protective shells (injected resin) inserted under the leather give it perfect comfort that is remarkably effective and protective. Full-grain goatskin construction (topside and palm) for suppleness. Visible PU metacarpal-knuckle protective shells. TPR palm slider hypothenar muscle protective shell. Palm reinforcement in Clarino. Forearm protection with leather panel. Closure system with a Velcro tab and elastic cuff.. 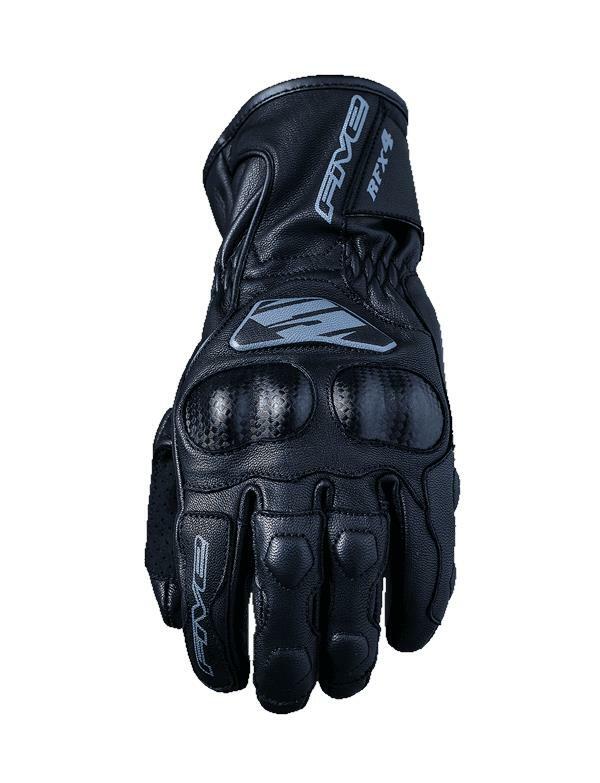 Description : .FIVE RFX4 Gloves (Black XL) - The RFX4 is made for riders looking for a sport look in a multipurpose glove. 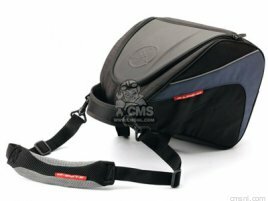 For any type of machine, from scooters to GT bikes, its soft construction in fullgrain goatskin and its PU protective shells (injected resin) inserted under the leather give it perfect comfort that is remarkably effective and protective. Full-grain goatskin construction (topside and palm) for suppleness. Visible PU metacarpal-knuckle protective shells. TPR palm slider hypothenar muscle protective shell. Palm reinforcement in Clarino. Forearm protection with leather panel. Closure system with a Velcro tab and elastic cuff.. Description : .FIVE RFX4 Gloves (Black Lg) - The RFX4 is made for riders looking for a sport look in a multipurpose glove. 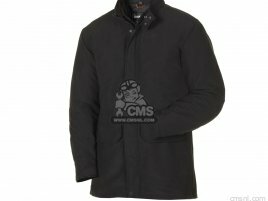 For any type of machine, from scooters to GT bikes, its soft construction in fullgrain goatskin and its PU protective shells (injected resin) inserted under the leather give it perfect comfort that is remarkably effective and protective. Full-grain goatskin construction (topside and palm) for suppleness. Visible PU metacarpal-knuckle protective shells. TPR palm slider hypothenar muscle protective shell. Palm reinforcement in Clarino. Forearm protection with leather panel. Closure system with a Velcro tab and elastic cuff.. 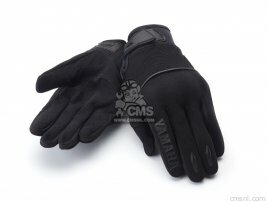 Description : .FIVE RFX4 Gloves (Black Md) - The RFX4 is made for riders looking for a sport look in a multipurpose glove. 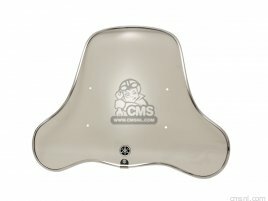 For any type of machine, from scooters to GT bikes, its soft construction in fullgrain goatskin and its PU protective shells (injected resin) inserted under the leather give it perfect comfort that is remarkably effective and protective. Full-grain goatskin construction (topside and palm) for suppleness. Visible PU metacarpal-knuckle protective shells. TPR palm slider hypothenar muscle protective shell. Palm reinforcement in Clarino. Forearm protection with leather panel. Closure system with a Velcro tab and elastic cuff.. 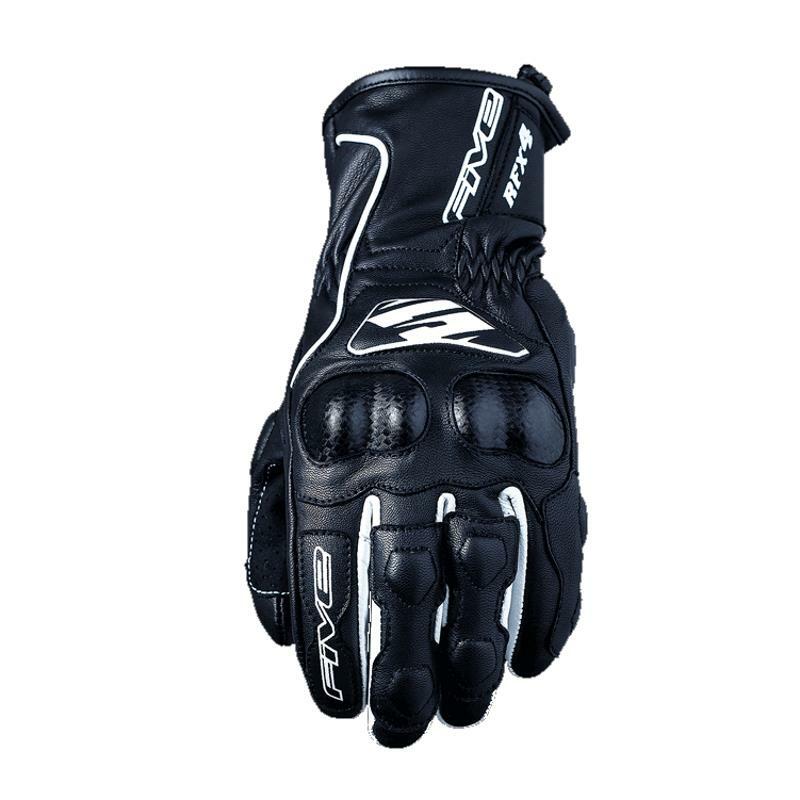 Description : .FIVE RFX4 Gloves (Black Sm) - The RFX4 is made for riders looking for a sport look in a multipurpose glove. 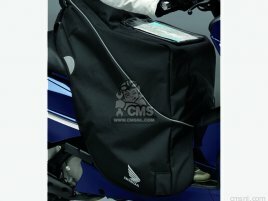 For any type of machine, from scooters to GT bikes, its soft construction in fullgrain goatskin and its PU protective shells (injected resin) inserted under the leather give it perfect comfort that is remarkably effective and protective. Full-grain goatskin construction (topside and palm) for suppleness. Visible PU metacarpal-knuckle protective shells. TPR palm slider hypothenar muscle protective shell. Palm reinforcement in Clarino. Forearm protection with leather panel. Closure system with a Velcro tab and elastic cuff.. 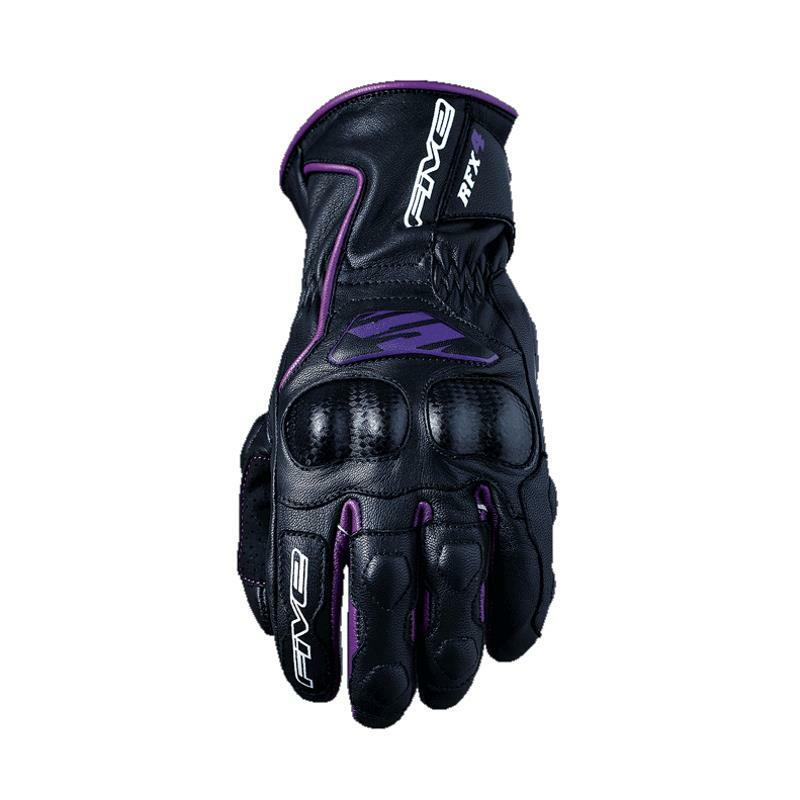 Description : .FIVE RFX4 Womens Gloves (Black/Purple XL) - The ultra versatile urban road glove. Pleasant and efficient on all types of machines, from scooter to motorcycle. Palm: Soft leather. Wide Velcro closure. Back: Knuckles case PU (injected resin) for effective protection.. Description : .FIVE RFX4 Womens Gloves (Black/Purple Lg) - The ultra versatile urban road glove. Pleasant and efficient on all types of machines, from scooter to motorcycle. Palm: Soft leather. Wide Velcro closure. Back: Knuckles case PU (injected resin) for effective protection.. Description : .FIVE RFX4 Womens Gloves (Black XL) - The ultra versatile urban road glove. Pleasant and efficient on all types of machines, from scooter to motorcycle. Palm: Soft leather. Wide Velcro closure. Back: Knuckles case PU (injected resin) for effective protection.. Description : .FIVE RFX4 Womens Gloves (Black Lg) - The ultra versatile urban road glove. Pleasant and efficient on all types of machines, from scooter to motorcycle. Palm: Soft leather. Wide Velcro closure. Back: Knuckles case PU (injected resin) for effective protection.. Description : .FIVE RFX4 Womens Gloves (Black Md) - The ultra versatile urban road glove. Pleasant and efficient on all types of machines, from scooter to motorcycle. Palm: Soft leather. Wide Velcro closure. Back: Knuckles case PU (injected resin) for effective protection.. Description : .FIVE RFX4 Womens Gloves (Black Sm) - The ultra versatile urban road glove. Pleasant and efficient on all types of machines, from scooter to motorcycle. Palm: Soft leather. Wide Velcro closure. Back: Knuckles case PU (injected resin) for effective protection.. 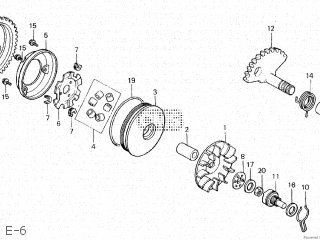 Description : .Pirelli Angel Scooter Front Tire - 120/70-15 (56) - Born from Pirellis sport touring product, the Angel GT, for urban commuting. The structure of the tire and tread pattern design filter all different road conditions and deliver a more comfortable and smooth ride. A new compound with increased silica improves grip on wet surfaces. An improved tread pattern with crossing elements absorbs and distributes braking forces to reduce the breaking distance. Dampening dots within the tread modify the stiffness of the ride and absorb ground irregularities and vibrations. Tubeless type tires.. Description : .Pirelli Angel Scooter Front Tire - 120/70-14 (55) - Born from Pirellis sport touring product, the Angel GT, for urban commuting. The structure of the tire and tread pattern design filter all different road conditions and deliver a more comfortable and smooth ride. A new compound with increased silica improves grip on wet surfaces. An improved tread pattern with crossing elements absorbs and distributes braking forces to reduce the breaking distance. Dampening dots within the tread modify the stiffness of the ride and absorb ground irregularities and vibrations. Tubeless type tires.. Description : .Pirelli Angel Scooter Front Tire - 120/70-13 (53) - Born from Pirellis sport touring product, the Angel GT, for urban commuting. The structure of the tire and tread pattern design filter all different road conditions and deliver a more comfortable and smooth ride. A new compound with increased silica improves grip on wet surfaces. An improved tread pattern with crossing elements absorbs and distributes braking forces to reduce the breaking distance. Dampening dots within the tread modify the stiffness of the ride and absorb ground irregularities and vibrations. Tubeless type tires.. Description : .Pirelli Angel Scooter Front Tire - 120/70-12 (51) - Born from Pirellis sport touring product, the Angel GT, for urban commuting. The structure of the tire and tread pattern design filter all different road conditions and deliver a more comfortable and smooth ride. A new compound with increased silica improves grip on wet surfaces. An improved tread pattern with crossing elements absorbs and distributes braking forces to reduce the breaking distance. Dampening dots within the tread modify the stiffness of the ride and absorb ground irregularities and vibrations. Tubeless type tires.. Description : .Pirelli Angel Scooter Front Tire - 110/90-13 (56) - Born from Pirellis sport touring product, the Angel GT, for urban commuting. The structure of the tire and tread pattern design filter all different road conditions and deliver a more comfortable and smooth ride. A new compound with increased silica improves grip on wet surfaces. An improved tread pattern with crossing elements absorbs and distributes braking forces to reduce the breaking distance. Dampening dots within the tread modify the stiffness of the ride and absorb ground irregularities and vibrations. Tubeless type tires.. Description : .Pirelli Angel Scooter Front Tire - 110/70-16 (52) - Born from Pirellis sport touring product, the Angel GT, for urban commuting. The structure of the tire and tread pattern design filter all different road conditions and deliver a more comfortable and smooth ride. A new compound with increased silica improves grip on wet surfaces. An improved tread pattern with crossing elements absorbs and distributes braking forces to reduce the breaking distance. Dampening dots within the tread modify the stiffness of the ride and absorb ground irregularities and vibrations. Tubeless type tires.. Description : .Pirelli Angel Scooter Front Tire - 110/70-12 (47) - Born from Pirellis sport touring product, the Angel GT, for urban commuting. The structure of the tire and tread pattern design filter all different road conditions and deliver a more comfortable and smooth ride. A new compound with increased silica improves grip on wet surfaces. An improved tread pattern with crossing elements absorbs and distributes braking forces to reduce the breaking distance. Dampening dots within the tread modify the stiffness of the ride and absorb ground irregularities and vibrations. Tubeless type tires.. Description : .Pirelli Angel Scooter Front Tire - 110/70-11 (45) - Born from Pirellis sport touring product, the Angel GT, for urban commuting. The structure of the tire and tread pattern design filter all different road conditions and deliver a more comfortable and smooth ride. A new compound with increased silica improves grip on wet surfaces. An improved tread pattern with crossing elements absorbs and distributes braking forces to reduce the breaking distance. Dampening dots within the tread modify the stiffness of the ride and absorb ground irregularities and vibrations. Tubeless type tires.. Description : .Pirelli Angel Scooter Front Tire - 100/80-16 (50) - Born from Pirellis sport touring product, the Angel GT, for urban commuting. The structure of the tire and tread pattern design filter all different road conditions and deliver a more comfortable and smooth ride. A new compound with increased silica improves grip on wet surfaces. An improved tread pattern with crossing elements absorbs and distributes braking forces to reduce the breaking distance. Dampening dots within the tread modify the stiffness of the ride and absorb ground irregularities and vibrations. Tubeless type tires.. 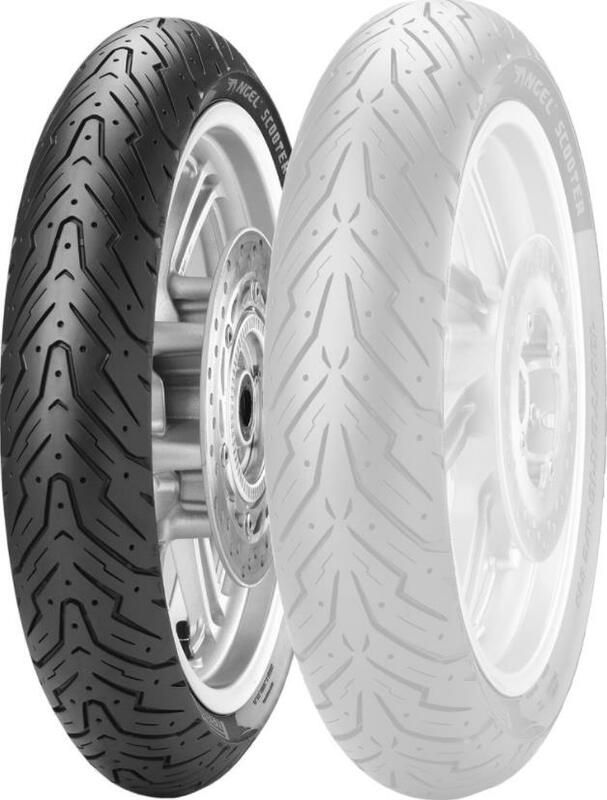 Description : .Pirelli Diablo Rosso Scooter Rear Tire - 150/70-14 (66) - Breakthrough evolution of the DIABLO ROSSO III applied to high performance scooters which improves the handling, grip and performance of the tire. A sporty profile allows for agile handling and a high silica dual-compound rear tire provides better grip and higher mileage. Features the DIABLO ROSSO III patented flash tread pattern design for optimal wear andwater drainage. 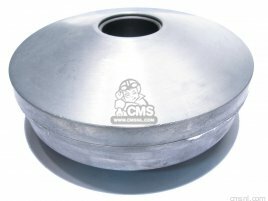 The flash pattern is a proven and efficient solution to combine tread compactness, void-to-rubber ratio, groove orientation and water evacuation. TUBELESS type tire.. 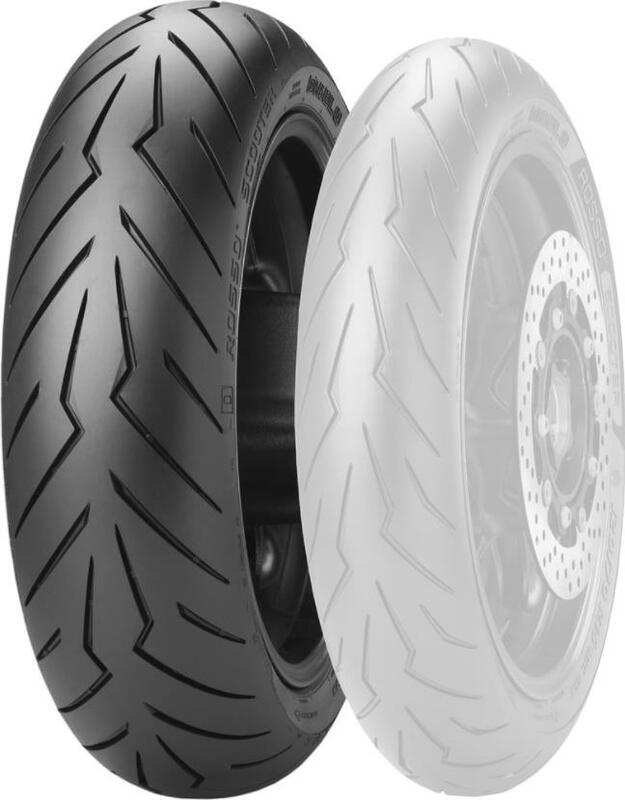 Description : .Pirelli Diablo Rosso Scooter Rear Tire - 150/70-13 (64) - Breakthrough evolution of the DIABLO ROSSO III applied to high performance scooters which improves the handling, grip and performance of the tire. A sporty profile allows for agile handling and a high silica dual-compound rear tire provides better grip and higher mileage. Features the DIABLO ROSSO III patented flash tread pattern design for optimal wear andwater drainage. The flash pattern is a proven and efficient solution to combine tread compactness, void-to-rubber ratio, groove orientation and water evacuation. TUBELESS type tire.. Description : .Pirelli Diablo Rosso Scooter Rear Tire - 130/70-12 REINF (62) - Breakthrough evolution of the DIABLO ROSSO III applied to high performance scooters which improves the handling, grip and performance of the tire. A sporty profile allows for agile handling and a high silica dual-compound rear tire provides better grip and higher mileage. Features the DIABLO ROSSO III patented flash tread pattern design for optimal wear andwater drainage. The flash pattern is a proven and efficient solution to combine tread compactness, void-to-rubber ratio, groove orientation and water evacuation. TUBELESS type tire.. Description : .Pirelli Diablo Rosso Scooter Front Tire - 120/80-14 (58) - Breakthrough evolution of the DIABLO ROSSO III applied to high performance scooters which improves the handling, grip and performance of the tire. A sporty profile allows for agile handling. Features the DIABLO ROSSO III patented flash tread pattern design for optimal wear andwater drainage. The flash pattern is a proven and efficient solution to combine tread compactness, void-to-rubber ratio, groove orientation and water evacuation. TUBELESS type tire.. Description : .Pirelli Diablo Rosso Scooter Front Tire - 120/70-15 (56) - Breakthrough evolution of the DIABLO ROSSO III applied to high performance scooters which improves the handling, grip and performance of the tire. A sporty profile allows for agile handling. Features the DIABLO ROSSO III patented flash tread pattern design for optimal wear andwater drainage. The flash pattern is a proven and efficient solution to combine tread compactness, void-to-rubber ratio, groove orientation and water evacuation. TUBELESS type tire.. Description : .Pirelli Diablo Rosso Scooter Front Tire - 120/70-12 REINF (58) - Breakthrough evolution of the DIABLO ROSSO III applied to high performance scooters which improves the handling, grip and performance of the tire. A sporty profile allows for agile handling. Features the DIABLO ROSSO III patented flash tread pattern design for optimal wear andwater drainage. The flash pattern is a proven and efficient solution to combine tread compactness, void-to-rubber ratio, groove orientation and water evacuation. TUBELESS type tire.. Description : .Pirelli Diablo Rosso Scooter Front Tire - 110/70-12 (47) - Breakthrough evolution of the DIABLO ROSSO III applied to high performance scooters which improves the handling, grip and performance of the tire. A sporty profile allows for agile handling. Features the DIABLO ROSSO III patented flash tread pattern design for optimal wear andwater drainage. The flash pattern is a proven and efficient solution to combine tread compactness, void-to-rubber ratio, groove orientation and water evacuation. TUBELESS type tire.. Description : .Pirelli Angel Scooter Rear Tire - 150/70-13 (64) - Born from Pirellis sport touring product, the Angel GT, for urban commuting. The structure of the tire and tread pattern design filter all different road conditions and deliver a more comfortable and smooth ride. A new compound with increased silica improves grip on wet surfaces. An improved tread pattern with crossing elements absorbs and distributes braking forces to reduce the breaking distance. Dampening dots within the tread modify the stiffness of the ride and absorb ground irregularities and vibrations. Tubeless type tires.. Description : .Pirelli Angel Scooter Rear Tire - 140/70-13 (61) - Born from Pirellis sport touring product, the Angel GT, for urban commuting. The structure of the tire and tread pattern design filter all different road conditions and deliver a more comfortable and smooth ride. A new compound with increased silica improves grip on wet surfaces. An improved tread pattern with crossing elements absorbs and distributes braking forces to reduce the breaking distance. Dampening dots within the tread modify the stiffness of the ride and absorb ground irregularities and vibrations. Tubeless type tires.. Description : .Pirelli Angel Scooter Rear Tire - 150/70-14 (66) - Born from Pirellis sport touring product, the Angel GT, for urban commuting. The structure of the tire and tread pattern design filter all different road conditions and deliver a more comfortable and smooth ride. A new compound with increased silica improves grip on wet surfaces. An improved tread pattern with crossing elements absorbs and distributes braking forces to reduce the breaking distance. Dampening dots within the tread modify the stiffness of the ride and absorb ground irregularities and vibrations. Tubeless type tires.. 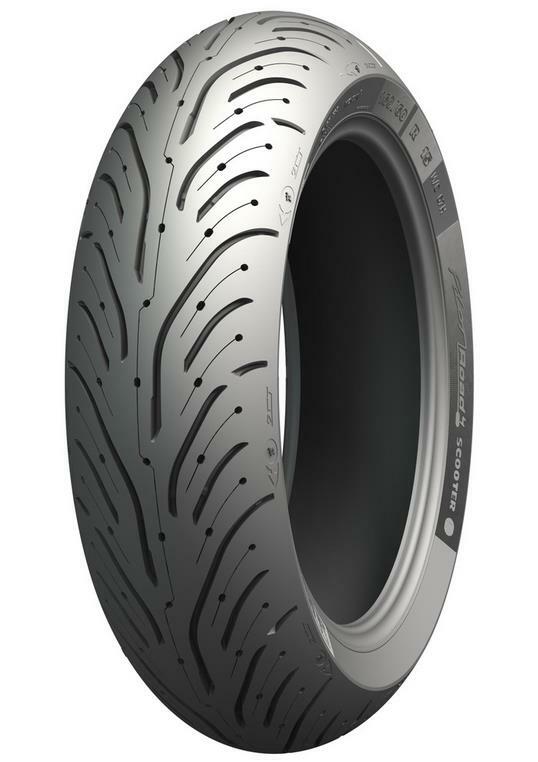 Description : .Pirelli Angel Scooter Rear Tire - 140/70-16 (65) - Born from Pirellis sport touring product, the Angel GT, for urban commuting. The structure of the tire and tread pattern design filter all different road conditions and deliver a more comfortable and smooth ride. A new compound with increased silica improves grip on wet surfaces. An improved tread pattern with crossing elements absorbs and distributes braking forces to reduce the breaking distance. Dampening dots within the tread modify the stiffness of the ride and absorb ground irregularities and vibrations. Tubeless type tires.. Description : .Pirelli Angel Scooter Rear Tire - 140/70-14 REINF (68) - Born from Pirellis sport touring product, the Angel GT, for urban commuting. The structure of the tire and tread pattern design filter all different road conditions and deliver a more comfortable and smooth ride. A new compound with increased silica improves grip on wet surfaces. An improved tread pattern with crossing elements absorbs and distributes braking forces to reduce the breaking distance. Dampening dots within the tread modify the stiffness of the ride and absorb ground irregularities and vibrations. Tubeless type tires.. Description : .Pirelli Angel Scooter Rear Tire - 140/60-13 REINF (63) - Born from Pirellis sport touring product, the Angel GT, for urban commuting. The structure of the tire and tread pattern design filter all different road conditions and deliver a more comfortable and smooth ride. A new compound with increased silica improves grip on wet surfaces. An improved tread pattern with crossing elements absorbs and distributes braking forces to reduce the breaking distance. Dampening dots within the tread modify the stiffness of the ride and absorb ground irregularities and vibrations. Tubeless type tires.. Description : .Pirelli Angel Scooter Rear Tire - 130/70-13 REINF (63) - Born from Pirellis sport touring product, the Angel GT, for urban commuting. The structure of the tire and tread pattern design filter all different road conditions and deliver a more comfortable and smooth ride. A new compound with increased silica improves grip on wet surfaces. An improved tread pattern with crossing elements absorbs and distributes braking forces to reduce the breaking distance. Dampening dots within the tread modify the stiffness of the ride and absorb ground irregularities and vibrations. Tubeless type tires.. Description : .Pirelli Angel Scooter Rear Tire - 130/70-12 REINF (62) - Born from Pirellis sport touring product, the Angel GT, for urban commuting. The structure of the tire and tread pattern design filter all different road conditions and deliver a more comfortable and smooth ride. A new compound with increased silica improves grip on wet surfaces. An improved tread pattern with crossing elements absorbs and distributes braking forces to reduce the breaking distance. Dampening dots within the tread modify the stiffness of the ride and absorb ground irregularities and vibrations. Tubeless type tires.. Description : .Pirelli Angel Scooter Rear Tire - 130/60-13 REINF - Born from Pirellis sport touring product, the Angel GT, for urban commuting. The structure of the tire and tread pattern design filter all different road conditions and deliver a more comfortable and smooth ride. A new compound with increased silica improves grip on wet surfaces. An improved tread pattern with crossing elements absorbs and distributes braking forces to reduce the breaking distance. Dampening dots within the tread modify the stiffness of the ride and absorb ground irregularities and vibrations. Tubeless type tires.. 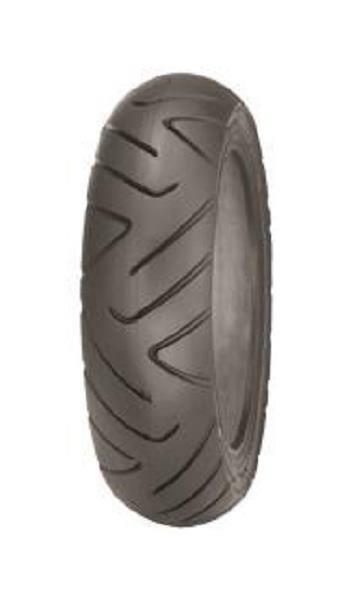 Description : .Pirelli Angel Scooter Rear Tire - 120/80-16 (60) - Born from Pirellis sport touring product, the Angel GT, for urban commuting. The structure of the tire and tread pattern design filter all different road conditions and deliver a more comfortable and smooth ride. A new compound with increased silica improves grip on wet surfaces. An improved tread pattern with crossing elements absorbs and distributes braking forces to reduce the breaking distance. Dampening dots within the tread modify the stiffness of the ride and absorb ground irregularities and vibrations. Tubeless type tires.. 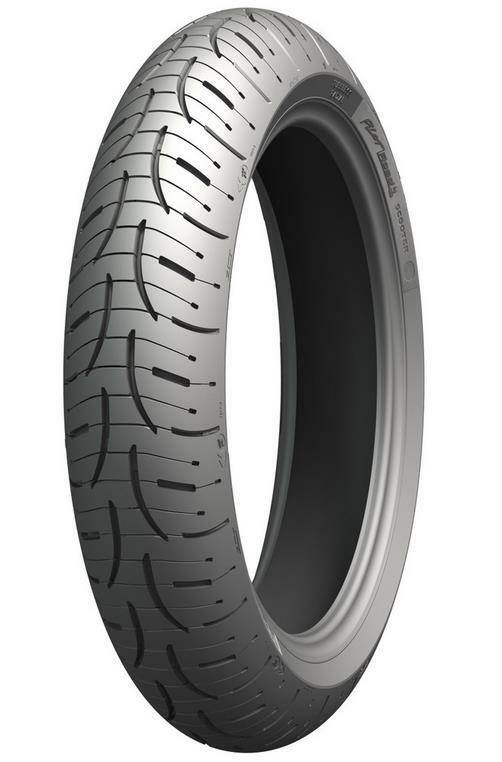 Description : .Pirelli Angel Scooter Rear Tire - 120/80-14 (58) - Born from Pirellis sport touring product, the Angel GT, for urban commuting. The structure of the tire and tread pattern design filter all different road conditions and deliver a more comfortable and smooth ride. A new compound with increased silica improves grip on wet surfaces. An improved tread pattern with crossing elements absorbs and distributes braking forces to reduce the breaking distance. Dampening dots within the tread modify the stiffness of the ride and absorb ground irregularities and vibrations. Tubeless type tires.. Description : .Pirelli Angel Scooter Rear Tire - 120/70-12 REINF (58) - Born from Pirellis sport touring product, the Angel GT, for urban commuting. The structure of the tire and tread pattern design filter all different road conditions and deliver a more comfortable and smooth ride. A new compound with increased silica improves grip on wet surfaces. An improved tread pattern with crossing elements absorbs and distributes braking forces to reduce the breaking distance. Dampening dots within the tread modify the stiffness of the ride and absorb ground irregularities and vibrations. Tubeless type tires.. Description : .Pirelli Angel Scooter Rear Tire - 120/70-11 REINF (56) - Born from Pirellis sport touring product, the Angel GT, for urban commuting. The structure of the tire and tread pattern design filter all different road conditions and deliver a more comfortable and smooth ride. A new compound with increased silica improves grip on wet surfaces. An improved tread pattern with crossing elements absorbs and distributes braking forces to reduce the breaking distance. Dampening dots within the tread modify the stiffness of the ride and absorb ground irregularities and vibrations. Tubeless type tires.. 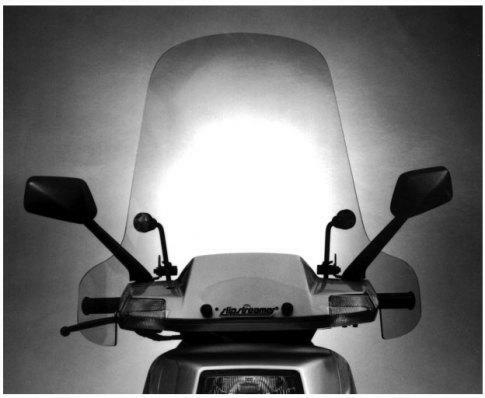 Description : .Slipstreamer Replacement Scooter Windshield - Clear - 3/16in. Lucite. Protective edge beading. 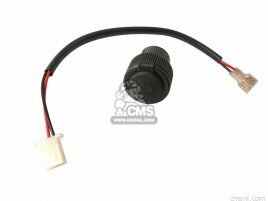 Rigid mounting system. 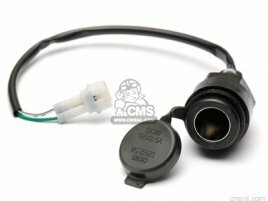 22 1/2in. H x 19 1/2in. W (Body) x 29in. B (Hands). Made in the USA.. 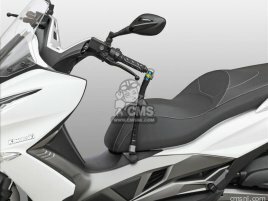 Description : .Michelin Pilot Road 4 Scooter Front Tire - 120/70R15 - The best of sport touring radial motorcycle tire technology for maxi-scooters. 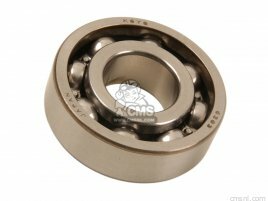 Excellent stability at high speed thanks to radial technology. Outstanding wet braking performance. 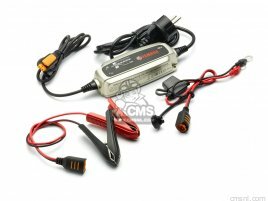 Exceptional grip suited to a sporty ride.. Description : .Michelin Pilot Road 4 Scooter Rear Tire - 160/60R15 (160/60-15 67) - The best of sport touring radial motorcycle tire technology for maxi-scooters. 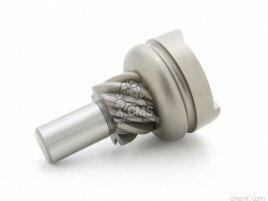 Excellent stability at high speed thanks to radial technology. Outstanding wet braking performance. Exceptional grip suited to a sporty ride.. Description : .Michelin Pilot Road 4 Scooter Rear Tire - 160/60R14 (160/60-14 65) - The best of sport touring radial motorcycle tire technology for maxi-scooters. Excellent stability at high speed thanks to radial technology. Outstanding wet braking performance. 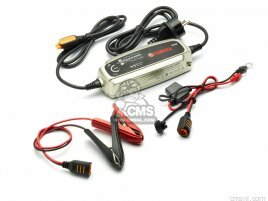 Exceptional grip suited to a sporty ride.. 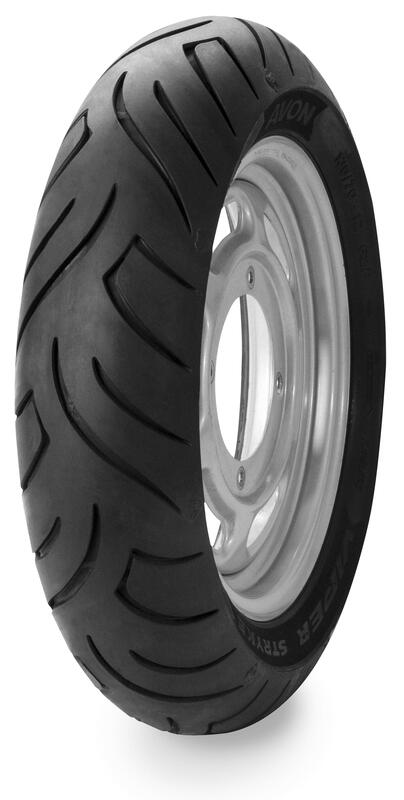 Description : .Avon Tyres Viper Stryke AM63 Rear Tire - 100/90-14 (57 Bias) - Engineered for todays scooters capable of speeds up to 100 mph and typically used to commute long distancesProvides a high level of performance and sure-footed handlingPerforms equally as well on smaller engine scooters.. Description : .IRC MB67 Front Scooter Tire - 110/90-13 (55 P) - Unique tread design for enhanced sportbike like performance. 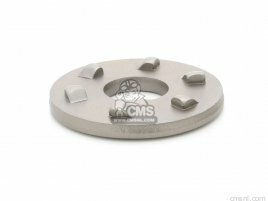 OEM tire for Yamaha Majesty 250/400. Tubeless design.. Description : .IRC MB67 Front/Rear Scooter Tire - 110/90-12 (64) - Unique tread design for enhanced sportbike like performance. 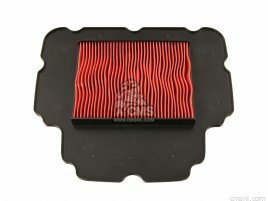 OEM tire for Yamaha Majesty 250/400. Tubeless design..